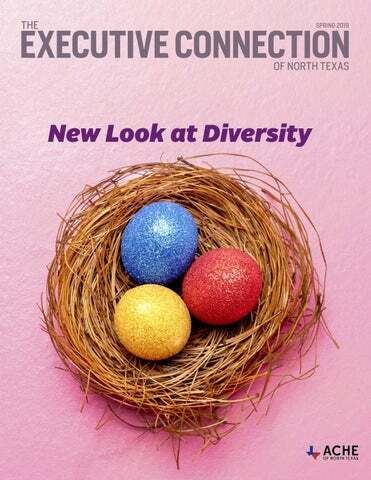 The ACHE of North Texas e-magazine, The Executive Connection, is published triannually and includes information on the latest regulatory and legislative developments, as well as the quality improvement and leadership trends that are shaping and influencing the healthcare industry. Readers get indepth reporting on the issues and challenges facing hospital and health system leaders today. We make it our job to tell you about the great things the organization and Chapter are doing every day to ensure the health of our community. 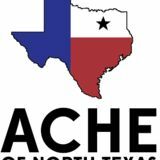 If you have any news and updates that you want to share with other members, please e-mail your items to info@northtexas.ache.org. Microsoft Word or compatible format is preferable. If you have a graphic or picture that you'd like to include, please send it as a separate file. The following are the types of information that our members shared in past ACHE of North Texas magazines, Advocacy Issues, Legislative Issues, Educational Opportunities, Awards / Achievements, Promotions (Members On the Move), Committee Updates, journal submissions, conference submissions, and workshop participations, sharing mentoring experiences, etc. What are you doing now? I’m seeking a new opportunity right now due to a recent lay-off. How long have you been a member of ACHE? I joined ACHE last October (2018). I am a healthcare operations executive that cultivates trust for building successful teams. I have experience leading and developing clinical ancillary and support departments in acute care hospitals. I also have a passion for building new programs and services that bring volume and revenue to the facility. I am looking for a position that will utilize my contagious enthusiasm and upbeat demeanor to lead, excite, and inspire their teams. Why is being a member important to you? Has ACHE membership been a benefit to you in your career? I enjoy networking with other professionals in the healthcare arena. Every time I attend an event, (even those not designated as an education event), I learn something new. I have been able to meet people from all parts of our industry, many of whom I would not have encountered in my day-to-day work life. I think being connected in this way allows me to see the ‘big picture’ and gives me a better perspective on the business of healthcare. In your opinion, what is the most important issue facing Healthcare today? Healthcare in our country is still a very segmented system. It’s extremely difficult for the average patient to navigate. Historically, patients relied on their primary care physicians to guide their care, but this is changing as we see the shift to more retail and online health service offerings, which are more readily available and easier to access. When care is received in so many places, it’s challenging to maintain a complete and accurate medical record. This fragmented system puts the provider at a disadvantage when making a diagnosis, ordering procedures, or determining a treatment plan. Oftentimes, the result is a duplication of services, which ultimately drives up the overall cost of care. As we continue to see more retailers (CVS, Amazon, Apple, etc.) enter the healthcare space, it seems this segmented system will worsen. Perhaps we need more focus on the communication streams (interfaces) from all these sources and work toward an easily accessible universal electronic medical record. Additionally, I love the continuing education that is offered. The topics have been relevant and interesting. Plus, this program allows me to collect those CEUs. What advice would you give early careerists or those considering membership? I would definitely recommend joining and staying active in the local ACHE chapter. Membership offers so many benefits and resources that will help in the advancement of your career. You will also meet so many other healthcare leaders across the region. I would encourage early careerists or new graduates to enroll in the mentorship program for an even deeper experience. The chapter can also help you on that journey toward Fellow status. Tell us one thing that people don’t know about you. I am a direct descendent of Davy Crockett. Yes, the one who died at The Alamo!. What are you doing now? I am a senior consultant with The Oncology Group helping hospitals, cancer centers and oncology practices with strategic planning, financial analysis, hospital-physician integration models, and operations assessments. In your opinion, what is the most important issue facing Healthcare today? The most important issue facing healthcare today is the transition from traditional fee-for-service care to valuebased services. However, in order to be successful, a number of infrastructure pieces must be in place. Healthcare providers must have the technology to provide them with the data necessary to track their activities and make evidencebased decisions. You have to have reliable data to make quality improvements. With both physician and nursing shortages, providers must be able to use the right people to provide the best care. At the same time, it will be difficult to shift from caring for individuals to more population health management, especially since payors still trying to how to reimburse for it. How long have you been a member of ACHE? I have been a member for 40 years. My first job after graduate required that senior managers join ACHE and pass the membership exam within 3 years. Why is being a member important to you? Has ACHE membership been a benefit to you in your career? ACHE has provided a valuable source of education, helping me continuously learn about the skills to be an executive, the trends I needed to follow, and the organizations that provided the models of organization and management worth emulating. ACHE also provides for the best networking opportunities to develop relationship with other successful executives and managers. I learn more at ACHE conferences from my colleagues than I could learn anywhere else. Being a Fellow is a credential that everyone recognizes and respects because they know what it takes to achieve it. What advice would you give early careerists or those considering membership? Join early and participate regularly. Who you know throughout your career is at least as important as what you know. ACHE will help you meet all of the people you should know who are leaders in the field. Those relationships will be very valuable throughout your career. Also, ACHE will help you become a lifelong learner. Both of these benefits will help you become and remain successful. Tell us one thing that people donâ&#x20AC;&#x2122;t know about you. I started out in life as a physical therapist. That clinical knowledge and experience treating patients has helped me more readily gain the respect and trust of physicians and other clinicians. Briefly describe your career. I served as a U.S. Navy Officer and Aviator from 1970-1976, which included two tours in Viet Nam. I then shifted gears to pursue a career in healthcare management. Upon earning a MHA from Duke University I went on a 38-year run as a healthcare executive. Over the course of my career, I held positions of VP, Sr. VP, Executive Director, CEO, in a variety of healthcare settings and models -- Kaiser Permanente, Harvard Pilgrim Healthcare, independent for-profit medical groups, and a PPM (PhyCor). In the last 12 years I dedicated myself to serving the underserved. I worked at JPS in charge of their community health centers, and then ended my career by serving as a CEO of a Federally Qualified Health Center in WA State. Why did I pursue the healthcare profession? The Viet Nam war taught me that there is no honor in war. I felt the need to make amends by dedicating the rest of my life to doing some good for fellow man. Healthcare management appealed to me because I could do some good and have an impact on the health and well-being of populations on a larger scale. I also come from a family of caregivers. If you had the power to do so, what one thing would you do to reform our healthcare system? Expand access to healthcare for the underserved, persons without insurance or underinsured, who do not have the means to pay providers’ “charges”, which in most cases is far above what providers get paid from health insurance companies. What is the best advice you gave to your children and early careerists? The importance of education; to persevere -- to get up and move forward when knocked down by life’s circumstances, and to be humble. What is the most valuable benefit you have received as an ACHE member? I consider ACHE to be a premier professional association. I have benefited greatly from attending their wide-range of valuable educational programs over the years that helped advance my career. What is one thing members don’t know about you? I co-own with other partners a condo in Maui, Hawaii. Why is being a member important to you? Has ACHE membership been a benefit to you in your career? ACHE has been instrumental in my development and education as a leader. It’s easy to focus on a very narrow aspect of healthcare that you work in daily. ACHE provides opportunities to meet with new people, hear new ideas, and see what other leaders do beyond your area of expertise. I always leave an ACHE event thinking about something that I had never thought of before, and that is how you grow as a leader. What are you doing now? I am a Director of Operations for Baylor Scott & White HealthTexas Provider Network, and I support about one-third of our Primary Care practices in North Texas. My clinics are primarily in Dallas and Ellis Counties, and I have about two dozen clinics that I work with, spanning from North Dallas to Waxahachie. I love partnering with my physicians and my team of practice managers to solve challenging issues and work towards improving the patient experience. In your opinion, what is the most important issue facing Healthcare today? We have made healthcare too complicated for everyone involved—for patients, families, providers, and our own employees. Because of the complexity of the industry, it is difficult for us to adopt ideas from other industries and apply them to healthcare. We need leaders who can solve problems by looking at the end goal and work backwards to create solutions that are innovative and break traditional thinking in the industry. The first organizations that learn think like a patient (or like an employer who ultimately pays the bills for many of our patients) without regard for how we have always done things in the past will be the organizations that succeed moving forward. How long have you been a member of ACHE? I started as a student member in graduate school and have continued my membership as an early careerist. In total I have been a member for nearly 10 years. What advice would you give early careerists or those considering membership? First—Dive in. I waited a few years to engage meaningfully with ACHE, and I regret not taking advantage sooner. As an example, I somewhat cautiously took a chance and enrolled as a mentee in the mentorship program, but I had such a great experience that I’m signing up as a mentor this year. It’s going to be fun being on the other side helping someone else. Second—Be a sponge! Learn anything and everything that you possibly can and just soak it all in. See new things and talk to new people. You will walk away a better leader as a result. I have never felt that my time was not well-spent if I was outside of my comfort zone. Tell us one thing that people don’t know about you. I am a trained storm spotter! I’ve been a huge weather nerd since college. My wife probably thinks I’m nuts when I run outside to watch when it storms. 1.	identifies patients with high use of emergency departments, inpatient mental health services and the justice system who suffer with mental and behavioral health diagnoses; 2.	enhances timely and informed treatment of patients presenting to the emergency department through the use of real time health information exchange; and 3.	supports expanded outpatient treatment programs focusing on treating Assertive Community Treatment (ACT) eligible patients with the aim of providing the right care at the right time for eligible patients. The project began as a grant initiative of the Caruth Foundation. A gift was provided to Meadows Policy Institute to form two projects – the Right Care project, funding trained mental health providers to accompany police officers to dispatched calls in the community in which it was likely that one or more of the involved individuals was known to suffer with mental health diagnoses – and the Smart Justice Project described in this article. Smart Justice has multiple goals. First, program partners provide informed and effective care coordination to patients in emergent mental health crises. Partners also provide additional resources for care management in the outpatient clinic environment. Finally, all participants seek to reduce the disruption created in patients’ lives caused by undertreated or undermanaged mental health diagnoses – including encounters with law enforcement. Smart Justice partners include the North Texas Behavioral Health Authority (NTBHA), Meadows Policy Institute, Dallas County, the Dallas-Fort Worth Hospital Council Education and Research Foundation, Loopback Analytics, numerous contracted outpatient mental health providers through NTBHA, Texas Health Resources, Parkland Health and Hospital System, Methodist Health System and Baylor Scott and White Health. The program was originally funded by a grant from the Caruth Foundation and is now sustained entirely by contributions from the partners. How It Works When an eligible Smart Justice program patient presents to an emergency department, a real time information exchange occurs between the emergency room provider and the North Texas Behavioral Health Authority. When information is available concerning the presenting patient, a notification that the patient is in the emergency room is given to all the patient’s providers engaged in the Smart Justice program. Notifications include the patient’s: 1) outpatient/clinic provider name and contacts, 2) most recent medications, 3) outpatient treatment plan, and 4) current diagnoses. The information is then used by providers to treat the patient’s emergent needs and coordinate care between the patient’s caregivers in the inpatient (if necessary), outpatient emergency, and outpatient clinic environments. Further, if a patient is found to be potentially eligible for enhanced services from NTBHA, providers are notified of this eligibility. All providers then facilitate the patientâ&#x20AC;&#x2122;s access to enhanced NTBHA services while the patient is being treated in the emergency department. The program and the partnerships necessary to provide information for the treatment of patients who often use the emergency department for mental health care is unique to the Dallas County area. Expansion planning is currently underway for Tarrant, Denton and Collin county providers. Results to Date Partners meet monthly to review utilization patterns	and outcome metrics for patients in the program and improvements are made to workflow and outpatient responses to notifications. For the first 8 months of start up operations there is a significant reduction in patient emergency room time and inpatient admissions for Smart Justice patients receiving notifications and subsequently qualifying for ACT services. A full year of information will be available for program outcome evaluation in October 2019. On a recent Friday evening around 10:30 pm, one patient in the program made her second visit to an emergency room on that same day. She was a patient with NTBHA, and after she was medically cleared, her NTBHA provider came to the emergency room to assist her in her next treatment steps for her mental health and related issues. They left the emergency room together at around 1 am. This kind of hands-on patient service is possible due to the investment of donors and providers in the community and their willingness to share information and coordinate care to best meet the needs of our patients. Questions If you are interested in learning more about the Smart Justice program, please contact Kristin Tesmer, JD, FACHE, President of the DFWHC Foundation at ktesmer@dfwhcfoundation.org. ethnicity. The previous surveys were conducted in 1992, 1997, 2002 and 2008. Participants in the 2014 survey were sampled from the memberships of ACHE, the National Association of Health Services Executives, the National Forum for Latino Healthcare Executives and the Asian Health Care Leaders Association. The survey also was endorsed by Institute for Diversity in Health Management. The survey results indicated that, although some strides have been made, a lack of parity still exist between white and minority executives with respect to compensation and career attainments. Disparities also existed in perceptions of racial/ethnic equity, with minority executives being much less likely than white executives to report that race relations in their organizations were good. Minority executives were also less likely than their white counterparts to report satisfaction with their career progress and more likely to report that their careers had been negatively impacted by discrimination. This white paper summarizes key findings from the 2014 survey and presents results of an analysis that identified diversity programs associated with minority executives feeling more positively about race relations in their organizations. We also present recommendations for addressing one of the most important roadblocks to inclusion: unconscious bias. Findings In the summer of 2014, ACHE sent surveys to white, black, Hispanic and Asian healthcare executives, asking them about a number of career-related topics such as their education, career progress, career experiences and attitudes about their current organizations. Useable responses were received from 1,409 executives; the overall response rate was 30 percent. We should note that because those in the study were sampled from member lists, the results are indicative but not necessarily representative of all healthcare executives. The following are some key findings from the survey. More complete results from the study can be found at www.ache.org/pubs/ research/2014-Race-Ethnicity-Report.pdf. 17 percent lower than that of white men, respectively. When level of education and number of years of experience are controlled, Asian and white men earned similar compensation. Black and Hispanic men earned less. A higher proportion of white men than minority men had attained CEO positions, but black and Asian men are closing the gap. Again, controlling for education level and years of healthcare management experience, white, Hispanic and Asian women earned similar salaries. Black women earned less. Another positive finding from the study is that, adjusting for education level and years of experience, the median salaries for white, Hispanic and Asian women in calendar year 2013 were virtually the same: about $141,600, $141,900 and $143,600, respectively. However, the adjusted median salary of black women was 13 percent less than that of white women. significant improvement over 2008 when this figure was 47 percent. Similarly, the proportion of Asian men in CEO positions was 28 percent of that of white men, up from 15 percent in 2008. A higher proportion of white women than minority women had attained CEO positions, but the gap is widening for black and Hispanic executives. The proportion of white women executives in CEO positions in 2014 (14 percent) was almost the same as it was in 2008. However, in 2014, the proportion of black women holding CEO positions was 57 percent of that of white women; a drop from 2008 when it was 77 percent. Similarly, the proportion of Hispanic women occupying CEO positions was 78 percent of that of white women in 2014; a drop from 92 percent in 2008. The proportion of Asian women in CEO positions was roughly the same in the 2008 and 2014 studies. with their jobs. About three-quarters or more of the study respondents said they were satisfied with their position, almost all identify with their organization by saying “we” rather than “they” when speaking about their companies and more than half intend to stay in their current jobs in the coming year. Some minority executives were less satisfied with aspects of their jobs. Black respondents reported being less satisfied with their compensation, how they are treated when they make mistakes and the respect and treatment they receive from supervisors than were members of any other racial/ethnic group in the study (please see Exhibit 3). in their organizations (please see Exhibit 4). Asian and Hispanic respondents fell between these two extremes, with slightly more than half agreeing that more effort is needed to increase diversity among senior executives. Black respondents were also significantly less likely to feel positively about race relations and relations between managers in their organizations when compared to white respondents or members of the other racial/ethnic minorities in the study. 5. CAREER EXPERIENCES Minority respondents were less likely to report satisfaction with their career progress than white respondents, and more likely to report that discrimination had negatively impacted their careers. Over 80 percent of white respondents reported being satisfied with their career progress, as were more than 75 percent of Asian and Hispanic respondents. However, only 67 percent of black respondents were satisfied with how they were meeting their career goals. Almost half of black respondents said their careers had been negatively impacted by racial/ethnic discrimination, as compared to about onequarter of Asian and Hispanic respondents and ten percent of white executives. (please see Exhibit 4). Asian and Hispanic respondents fell between these two extremes, with slightly more than half agreeing that more effort is needed to increase diversity among senior executives. Black respondents were also significantly less likely to feel positively about race relations and relations between managers in their organizations when compared to white respondents or members of the other racial/ethnic minorities in the study. 5. CAREER EXPERIENCES Minority respondents were less likely to report satisfaction with their career progress than white respondents, and more likely to report that discrimination had negatively impacted their careers. Over 80 percent of white respondents reported being satisfied with their career progress, as were more than 75 percent of Asian and Hispanic respondents. However, only 67 percent of black respondents were satisfied with how they were meeting their career goals. Almost half of black respondents said their careers had been negatively impacted by racial/ethnic discrimination, as compared to about onequarter of Asian and Hispanic respondents and ten percent of white executives. (please see Exhibit 5). The most common type of diversity program appears to be social gatherings for employees, which were reported by roughly threequarters of survey respondents as being offered by their organizations. More than half of respondents reported that their organizations had affirmative action plans, and about half or a little more said their organizations offered mentoring programs, diversity training for managers or a policy of seeking diversity in candidates considered for hire. Less than half of respondents said their organizations had a diversity committee, a manager responsible for diversity, a strategic or business objective to increase diversity, affinity groups or different types of diversity incentives for managers. mentioned by a number of survey respondents as being critical to the successful creation of diverse and inclusive organizations. Further, black and Asian respondents were significantly more likely to feel positively about race relations in the workplace in organizations attempting to increase diversity in the senior leadership team. The desire to have healthcare management reflect the populations they serve should apply all the way to the top of the organization. Offer residency and fellowship programs. Based on the 2014 survey findings, it appears that more than half of those who participated in a healthcare management residency were eventually hired by that organization. Even higher proportions of those who took fellowships were hired by the sponsoring organization. Residency and fellowship programs have benefits for the organizations that offer them; leaders get the opportunity to work with a new executive before making a permanent hiring decision about him or her. Healthcare organizations need to consider offering residency and fellowship opportunities to qualified graduates to assist their launch into careers in healthcare management. 8 Ways to Identify and Combat Unconscious Bias The following are suggestions compiled from several resources1 about how you can identify and combat unconscious bias in your healthcare organization. 1. Set a clear vision. The success of any organizational enterprise ultimately rests with the commitment of top leaders. Leaders need to set a clear vision, making sure that expectations are understood and resources are available to see the vision through. The vision to create a diverse organization needs to include not only statements about organizational intentions with respect to fairness to all employees and potential employees, but also acknowledge the existence of unconscious bias without painting those with this normal human reaction as “bad,” and makes it clear that combatting these biases is part of the organization’s approach to diversity. 2. Identify unconscious biases. The first step is to understand your own biases. Several tools exist to do this; one that is widely used is the Implicit Association Test developed by Banaji and Creenwald at Harvard University and the University of Washington. This web-based self-assessment asks users to link words with images on the computer screen. This test can be accessed at https://implicit.harvard.edu. Others in your organization might be encouraged to perform their own self-assessments using this or another tool. These tests are designed for self-development, not to generate measures to be reported to others. 3. Look at the data. Data are an excellent source of information about whether unconscious biases are driving decisions about hiring, promotion and consideration of staff for development activities. One good source of data are diversity statistics on your workforce. To what extent does your organization, from entry level to the senior leadership team, reflect the diversity of the community it serves? Further, you might consider an audit of resumes submitted, those selected for interviews and those of staff hired to ensure that education and experience are weighted fairly. A similar audit could be done with candidates for promotion or selection into leadership training programs. 4. Ask the hard questions. We are all familiar with the “gut feeling” one can get after reviewing a resume. However, before deciding on which resumes will pass to the next level, consider asking some hard questions such as: Does this person remind me of myself? Does this person remind me of someone I know, and is that positive or negative? Are there things in this resume that particularly influence my judgment and, if so, what are they and are they relevant to the job? 5. Examine your interviewing and promotion processes. As you and your management team single out those for interviews, hiring, leadership development and promotion, are you compiling lists based on names or qualifications? Make sure that you begin these decisions with a full list of those with relevant qualifications. 1 This list was compiled from the following sources: Banaji, Bazerman and Chugh 2003; Ross 2015; Ross 2008; Dreaschlin 2007 6. Conduct employee surveys. Conducting companywide, anonymous employee surveys (that adhere to good survey practices such as containing unbiased questions and being collected from a representative sample of employees) can be a good mechanism for uncovering potential biases as well as employee concerns regarding organizational diversity. 7. Have a mechanism for complaints. In addition to creating a formal system that protects “whistle blowers” and deals fairly with both complainers and those who are the subjects of complaints, consider offering an anonymous complaint channel for those who feel they have been subject to bias or discrimination, or other unfair acts not covered by law that impede creation and maintenance of an inclusive or fair workplace (e.g., bullying). 8. Choose words carefully. Words are highly impactful for shaping attitudes. Rather than talking about removing discrimination or “protected classes,” focus on fair treatment and respect in the workplace, which benefits all staff. Construction with Care At Skanska, we know that building a healthy community starts with building the best healthcare and medical centers. Our expertise spans a variety of projects including cancer centers, replacement hospitals, medical office buildings, neuroscience centers, childrenâ&#x20AC;&#x2122;s hospitals, cardiac centers and more. When you need the best in construction services, turn to Skanska. We build what matters. Fall After Hours Networking Event November 29, 2018 A successful year for chapter events came to a close with the Fall After Hours Networking Event on November 29. The happy hour was held at the Statler Hiltonâ&#x20AC;&#x2122;s rooftop bar, Waterproof, which offered a spectacular view of downtown and all the holiday hustle and bustle. It was visual proof of just how far downtown Dallas has come in the last few years. Our intrepid Membership & Networking Committee planning team made sure everyone was taken care of when it came to libations and hors dâ&#x20AC;&#x2122;oeuvres. Familiar faces mixed with first-time guests as we wrapped up the year and started looking ahead to 2019. ACHENTX Life Fellow Retirees Luncheon December 6, 2018 The boardroom at Texas Health Harris Methodist Hospital Hurst-Euless-Bedford was filled with more than 20 people for the Life Fellows-Retirees luncheon. Introductions included sharing a career challenge, which included started and running a health plan, forming a health system and overseeing a post-acute organization. Suggestions and insights were shared concerning how ACHE continues to evolve to meet the needs of emerging health care leaders and the connection between the national office and local chapters. Attendees were encouraged to share their experience and knowledge through the mentorship program and upcoming events designed to increase networking and relationship building. ACHENTX extends thanks and appreciation to those who attended and to Fraser Hay, FACHE, and Texas Health HEB for hosting the event. Moderator: John Allen, FACHE, Director of Practice Operations, Cook Children’s Medical Center, Ft. Worth, TX Panelists: •	Bernie O’Donnell, Lead Consultant and CEO, Performisys LLC, Dallas •	Mike Waters, LFACHE, Retired President and CEO, Hendrick Health System, Abilene, TX •	Benjamin Isgur, FACHE- Leader, PWC Health Research Institute, Dallas, TX •	Margaret Base- Executive Search Consultant, Witt Kieffer, Irving, TX The New Horizons event is an annual opportunity for healthcare administration professionals in transition to connect with each other, with recruiters and to learn from thought leaders in the industry. More than 75 people took advantage of the opportunity to get input on their resumes, practice interviewing and talk job search strategies with representatives of all the major health systems in North Texas and talent acquisition specialists from other healthcare employers. This year’s panel discussion focused on the challenge of keeping up with the ever- changing field of healthcare. The panelists noted that there are a great variety of channels for staying informed. Beyond the usual array of publications like Becker’s or Modern Healthcare, the panelists noted that many local consumer newspapers and news organizations provide detailed coverage of healthcare developments, in part because the industry is of vital interest to so much of the population. PWC has a policy think tank that offers a freely available publication focused on new developments. But getting involved with an organization like ACHE is one of the best ways to develop the relationships and to get the information from the people actually driving a lot of the change. The panel agreed that there is no industry in greater need for innovation than healthcare. The challenge of creating higher value at lower cost is driving great innovations from nontraditional angles. It’s a truism that all healthcare is local—but globalization of work force and in the form of medical tourism are having an impact. Blockchain technology is beginning to shape thinking about privacy and data security. New companies and alliances are emerging, and vertical integrations, such as CVS and Aetna have the potential to disrupt the industry. Of course, the political implications of managing cost, quality and access keep healthcare as a hot-button issue for the economy and the culture. medical community to come together to determine next steps to address some solutions, which are not necessarily bricks and mortar (i.e., virtual, telephonic, mobile assessment teams). The discussion also included the need to look at behavioral health as another vital sign – a regular measurement, handled in the PCP office, just like blood pressure – and to get rid of the stigma. Secondary prevention through early intervention – it will take the entire medical community working together. Each panel included a robust Q&A session. Common themes include that data is key, the significant shift to outpatient services and we need to work together and remain open to new ways of doing things (i.e., digital platforms) to care for patients. The event concluded with two donations to the ACHE Leadership Fund in honor of the panelists and moderators. ACHENTX extends thanks and appreciation to the moderators and panelists who made this event so engaging, to Smith & Nephew for hosting, and to the members and guests who attended. National News Complimentary Resources for the BOG Exam Available AFor Members starting on the FACHE® journey to board certification and the FACHE credential, several resources are available. These complimentary resources include quarterly Advancement Information webinars, designed to supplement other Board of Governors Exam study resources, such as the Board of Governors Review Course or Online Tutorial. Opportunity to List Your Postgraduate Fellowship As a healthcare leader, you know how crucial it is to attract and develop highly qualified professionals in your organization. If your organization is offering a postgraduate fellowship, we encourage you to add it to ACHE’s complimentary Directory of Postgraduate Administrative Fellowships at ache.org/Postgrad. You may add a new listing or update a previous one at any time by completing the online listing form. The directory can help you gain exposure and start attracting top-notch applicants to your program. Questions? Please contact Audrey Meyer, membership coordinator, at (312) 424-9308, or via email at ameyer@ache. org, Monday through Friday, 8:00 a.m. to 5:00 p.m. Central time. ending in 2022) •	Nominating Committee Member, District 5 (two-year term ending in 2022) •	Four Governors (three-year terms ending in 2023) •	Chairman-Elect Please refer to the following district designations for the open positions: •	District 1: Canada, Connecticut, Delaware, Maine, Massachusetts, New Hampshire, New Jersey, New York, Pennsylvania, Rhode Island, Vermont •	District 4: Alabama, Arkansas, Kansas, Louisiana, Mississippi, Missouri, New Mexico, Oklahoma, Tennessee, Texas •	District 5: Alaska, Arizona, California, Colorado, Hawaii, Idaho, Montana, Nevada, Oregon, Utah, Washington, Wyoming Candidates for Chairman-Elect and Governor should submit an application to serve that includes a copy of their resume and up to 10 letters of support. For details, please review qualifications for open positions that are listed in the Candidate Guidelines, including guidance from the Board of Governors to the Nominating Committee regarding the personal competencies of Chairman-Elect and Governor candidates and the composition of the Board of Governors. Candidates for the Nominating Committee should submit a letter of self-nomination and a copy of their resume. Applications to serve and self-nominations must be submitted electronically to jnolan@ache.org and must be received by July 15. All correspondence should be addressed to Charles D. Stokes, FACHE, chairman, Nominating Committee, c/o Julie Nolan, American College of Healthcare Executives, 300 S. Riverside Plaza, Ste. 1900, Chicago, IL 60606-6698. Following the July 15 submission deadline, the committee will meet to determine which candidates for Chairman-Elect and Governor will be interviewed. All candidates will be notified in writing of the committee’s decision by Sept. 30, and candidates for Chairman-Elect and Governor will be interviewed in person on Oct. 24. To review the Candidate Guidelines, visit ache.org/ CandidateGuidelines. If you have any questions, please contact Julie Nolan at (312) 424-9367 or jnolan@ache.org.